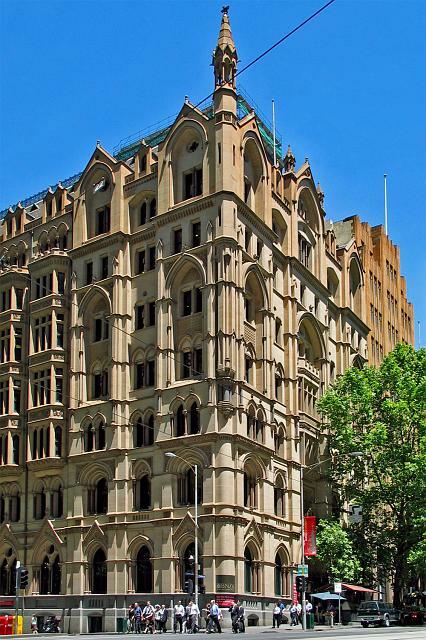 This impressive stone faced Gothic Revival office block was completed in 1893 to a design won in competition by the Adelaide firm of Wright Reed & Beaver. 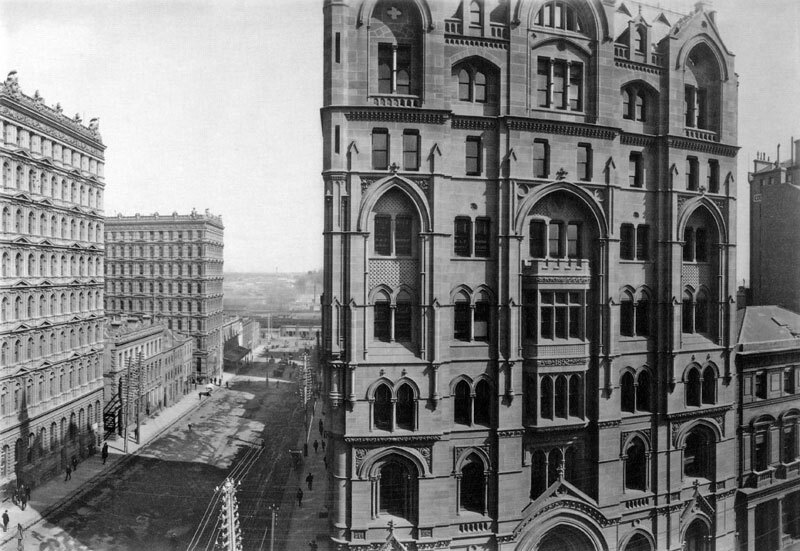 At eight storeys, it was one of the 19th century ‘skyscrapers’ that sprouted in the land boom period – its original extreme verticality was diluted in 1903 when it was extended in matching style along Queen Street. 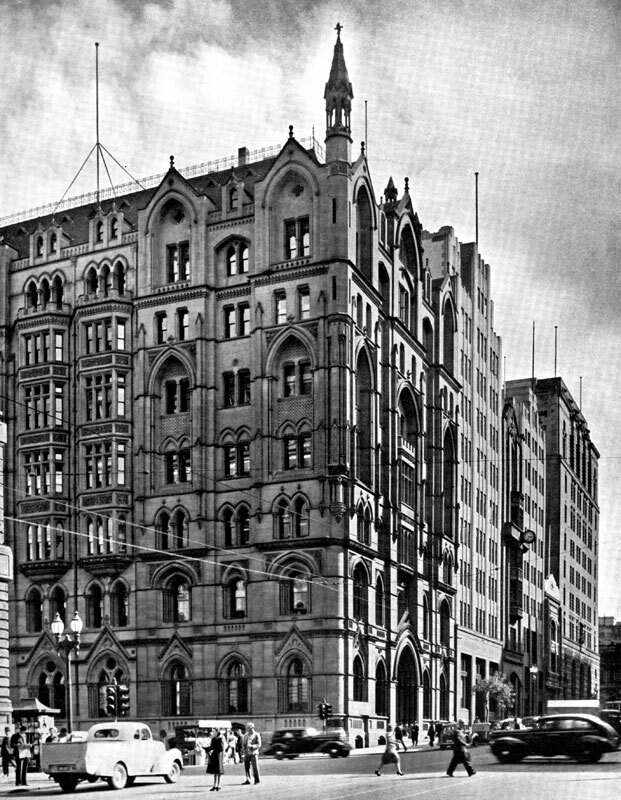 In 1983 the building was extensively restored, including the ornate 1903 ground floor chamber, by Best Overend & Partners. 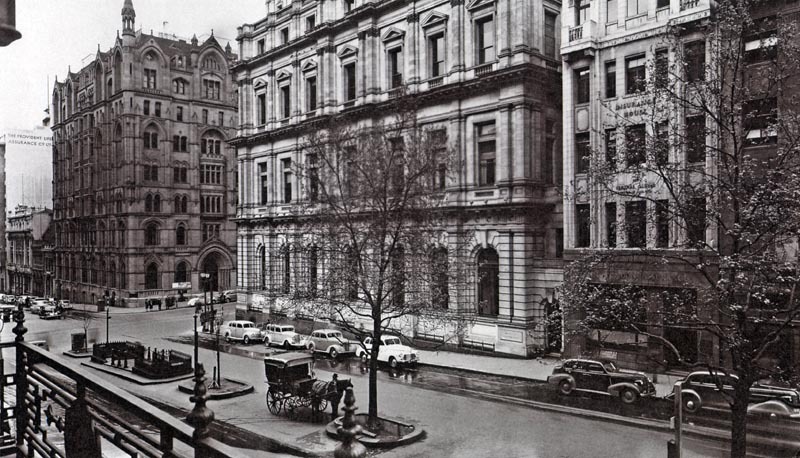 The three below, great old Black and white images of Goode House. One of my own, below. One that's had many-a-bank branding placed tastefully around the street corner.